(CNN) - The Academy and its television partner, ABC, need a new host for the 2019 Oscars, stat. And they need to explain why they didn't see this Kevin Hart controversy coming a mile away. His old tweets and stand-up routines were in plain view all along. Hart said Thursday night that he was stepping down as host of the Oscars just two days after he took to Instagram to announce that he got getting the job. In the statement, he apologized for homophobic tweets and comments from his past. "I'm sorry that I hurt people," he said in a tweet. But it was Hart's refusal to apologize, earlier in the day, that stoked criticism and worsened the situation. The Academy of Motion Picture Arts and Sciences knew it had a problem. Whether Hart jumped or was pushed, his exit solved one problem but created another. That's because the organization now has to line up a replacement -- unless the producers decide to try holding the awards show without a host. If so, it wouldn't be the first time. When the Academy has a problem, ABC has a problem too. The two organizations work together on each year's Oscars show. It is typically the highest-rated non-sports telecast of the year in the US. The Academy extended its deal with ABC back in 2016. The deal now lasts through 2028, an incredibly long-term contract by the standards of the TV business. The Academy has the "final say on producers, hosts and other production decisions," Variety reported at the time, "with ABC maintaining some input but ultimately deferring to the Academy." ABC's parent company Disney is famously controversy-averse. The network takes its family-friendly brand very seriously. And the network makes more than $100 million in ad revenue from each year's telecast. So, to put it simply, it's not surprising to see Hart parting ways with ABC and the Academy. But so far neither entity has commented on the matter. ABC's "Good Morning America" covered Hart's exit as an "Oscars bombshell" on Friday morning, just like other networks. 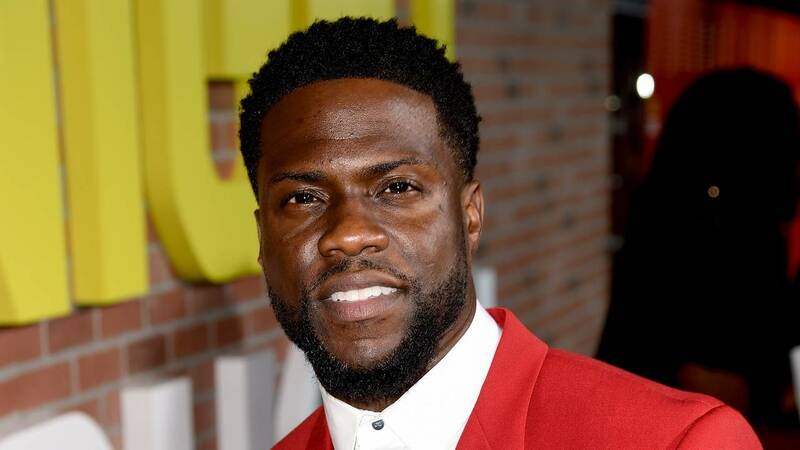 Hart was named the 2019 Oscars host on Tuesday evening. "For years I have been asked if I would ever host the Oscars and my answer was always the same...I said that it would be the opportunity of a lifetime for me as a comedian and that it will happen when it's suppose [sic] to," he wrote on Instagram. "I am so happy to say that the day has finally come for me to host the Oscars. I am blown away simply because this has been a goal on my list for a long time." Fellow comedians applauded the Academy's pick. But by Thursday morning, some of Hart's past statements and jokes were recirculating on social media. Hart, on tour in Australia, deleted some of his tweets. Industry notables like Billy Eichner and Indya Moore spoke out and said that Hart should do more. Moore tweeted at the Academy and said "please don't let this go ignored." Hart then posted two Instagram videos, both of which were defiant in tone. In one of the videos, he said he'd already addressed his anti-gay comments in the past, and suggested he didn't need to revisit the issue now. He also claimed that the Academy had insisted he issue an apology, but said he didn't want to reward internet "trolls." His response seemed to make a bad situation worse. Come Thursday evening, the influential gay rights and media advocacy group GLAAD said it had reached out to ABC, the Academy and Hart's management team "to discuss Kevin's anti-LGBTQ rhetoric and record as well as opportunities for positive LGBTQ inclusion on the Oscars stage." Hart posted his "stepping down" announcement right around midnight Eastern time. "Quite a day," journalist and author Mark Harris, who'd been highly critical of Hart, wrote on Twitter. "When the history of this is written -- tomorrow -- don't believe anything that cites trolls or 'political correctness' or a 'mob.' This was human beings, standing up for themselves and/or those they care about." Sarah Kate Ellis, the president and CEO of GLAAD, said on CNN's "New Day" Friday morning that she was disappointed by the outcome because "we were hoping that this was going to turn into a teachable moment." The hope, she said, was that "Hart would still be hosting the Oscars," and would use the powerful Oscars stage "to help build unity and awareness."